I was invited to watch a Noh play by one of my Japanese friends. At first, I thought she is talking about the “Noah” but Wikipedia quickly told me how wrong I was. 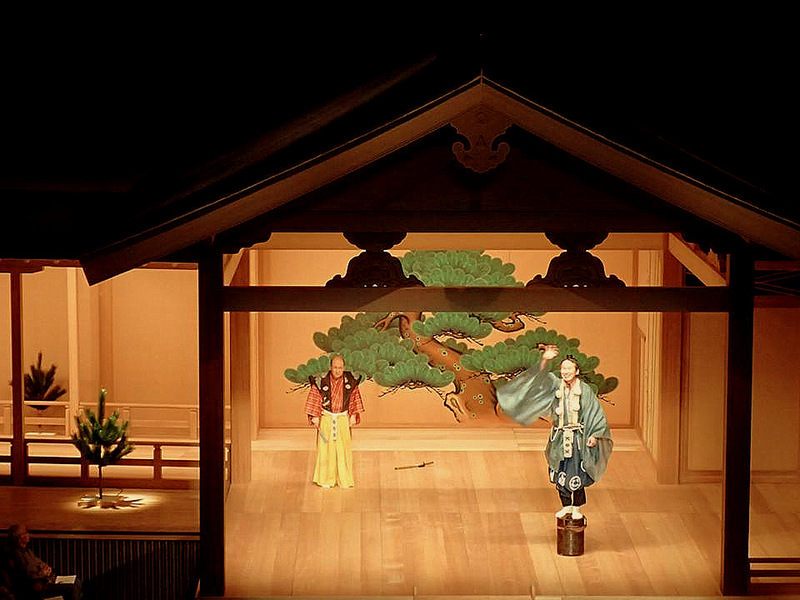 Noh is a form of classical Japanese Opera that is being performed since the 14th century. My friend told me that the Samurai warriors had to undergo Noh training to please their Shoguns. Curiosity got the better of me and I decided to go without knowing what to expect. The Noh theatre was held at the Sapporo Education and Cultural hall. As I was an invited guest, I did not have to pay a fee of 1500 JPY to watch the play. At the entrance, I got a brochure with information on various acts. It was in Japanese of course, which reminded me again that I should practice my Kanji more often 😐 . As I entered the hall, I saw this. My friend told me that a Noh stage is always supposed to look like this, with minimal or no aesthetics. The stage is made from a specific kind of wood that makes a particular sound when the artists perform on it. Another thing I noticed was the lack of any young Japanese people in the audience.Once the play started, my friend was kind enough to give me some idea on the theme of the plays, which helped me a lot to understand the acts. The plays had quite a serious tone. I found the acts rather amusing, partly because my imagination was running wild as I was lost in the story at many instances 😕 . The actors displayed no emotions at all but were still able to display the human feelings. When they moved on stage, it was a very slow one. I tried it after the play, but I didn’t have the patience to be slow. That made me realise that it certainly takes years of hard work to be good at even walking so slow. Interestingly, the only prop that most of the actors and even musicians had on stage was a fan. Every performer on stage placed it on their side when taking their position on the stage and tucked it into the Obi (sash on the dresses) when leaving the stage. The actors on stage used the fan to represent different kind of objects such as a sword or a flute during the play. A humorous Kyogen play was presented in between the Noh plays, which was a good break from the seriousness in the air. Music in all the plays were somewhat similar. It was interesting at the beginning but as the play progressed it became rather boring, to the extent of me falling almost asleep 😳 . Musical instruments that were common in the plays were shoulder drum, hip drum, normal drum and a flute. The singing was repetitive and I think it involved poems from the stories. Clearly, melody is not the main aspect of the Noh dramas. What I really liked about Noh was the simplicity and the elegance of the acts, with the energy and the passion of the actors. A Noh theatre is very different from its counterparts in the western world and is something that only a particular group of people will enjoy. After the play, my friend told me that the young Japanese generation does not have a lot of information or interests in Noh, as that belongs to the old historic Japan. It will be sad if the tradition of Noh will be lost in the future due to lack of interest in the modern world. I would recommend you to watch a Noh play if you get a chance. If nothing else it will be unique experience. 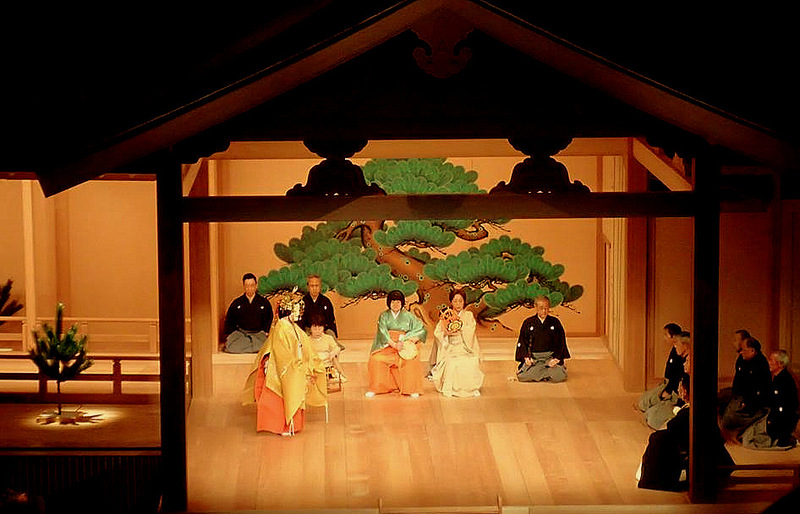 Have you every watched a Noh play before? Share with me your thoughts on the difference between Noh and western Opera by commenting below.